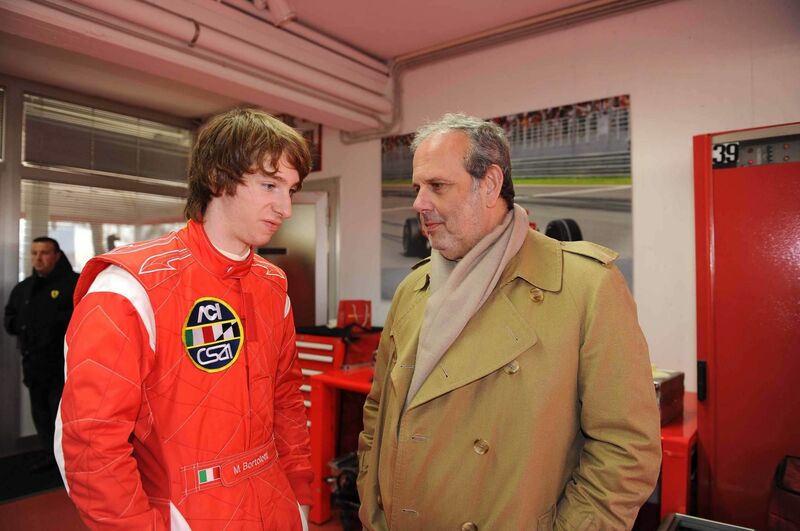 Mirko, first experience with a Formula One and you scored the new track record at Fiorano with the Ferrari F2008. Would you have thought to get that high at the beginning of the season? This year my season seemed to be destined not to start since a few days before the first race, but fortunately we managed to find the sponsors at the very last. The gap from Piscopo was wide at the beginning but thanks to the hard work done with the team in a few weeks we filled it. I was confident of my potential and of being able to fight for the title, but I never took it for granted due to the level of my opponents. After the victory and the announcement of the tests with Ferrari I started to think only to get ready for that in the best possible way. This is why I was pretty confident I would have done something good at Fiorano, even if I would have never thought about the track record. The 2008 championship has been very tight: how much do you think you professionally grew up during the season? I'd say a lot. The Italian Formula 3 championship is a very competitive one and winning is not easy. In 2007 I had some chances to get the title, but I was not lucky at that time. This year the technical level got higher and this championship allowed me to improve also from that point of view. This year you raced for Lucidi Motors, a top team: how heavy is it to be the first driver in a team used to win? Responsibility is heavy and you feel the pressure, but this is something that did not concern me, it gave me further motivations instead. My objective, victory, fit with that of the team and this made all the work easier. The team never favoured anyone, they always gave the three drivers same materials, obviously apart from the specific setup adjustments. Your future plans will take you to confront yourself with a new championship in 2009. How do you think Italian Formula 3 will evolve? During the last two years the growth has been sensible and Italian Formula 3 is nowadays one of the most valid and demanding series out there. New teams and drivers will increase the level of the competition further and whoever will emerge will presumably have what it takes to do well in higher series too. 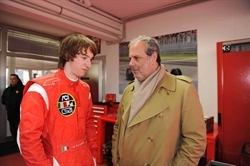 I still have not defined my programmes for 2009: my objective is to exploit in a new series all the experience gained during the last two years in the Italian Formula 3.